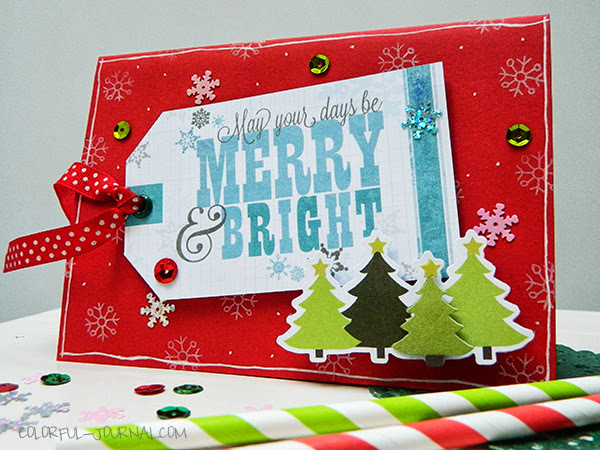 Hi everyone I wasn’t posting on the blog because I participated on a Christmas Craft Fair for 6 days teaching how to make christmas cards I prepared ahead of time. In other post I will share some of the photos I could took. 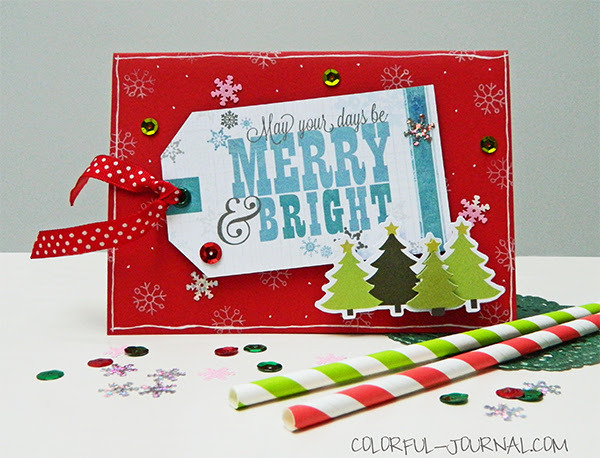 Today I show you a christmas card I made for this week 10 Minute Craft Dash. 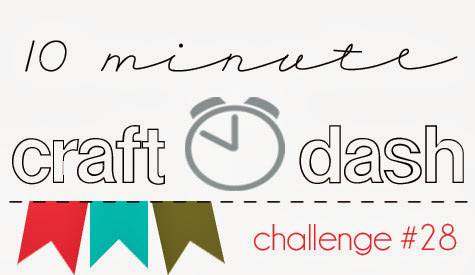 This week the colors are: Lipstick Red, Turquoise, Olive Green. In the craft fair I bought many 12×12 papers, when I saw the Elf Magic Collection by Bo Bunny I fell in love but with no luck the 6×6 paper pad sold out (tear) and I bought only 12×12 papers, there’s one with many tags on it so after the craft fair in my house I cut them apart so I can use them as tags. So with this tag previously cut I decided how it will be my card, the tag has snowflakes in the background so I decided to use snowflakes in the base card to. You can see more of my process on this video. Now is your time to make a project with these amazing colors and have a chance to win this prize. 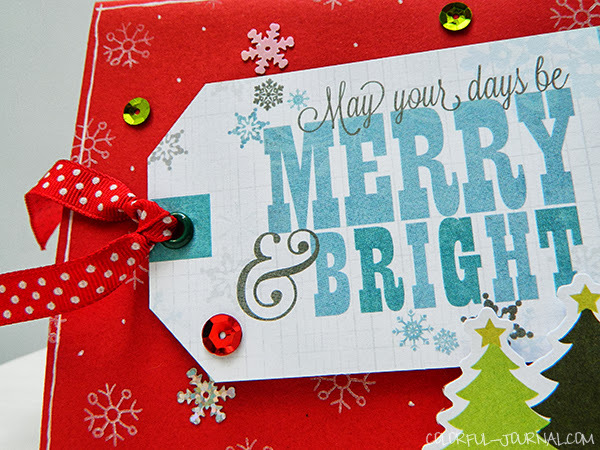 You’ve made a pretty, bright and bold card. Love your videos too! Thanks Vithya for your kind words. I’m so happy you enjoy the videos. So cute, Andrea! 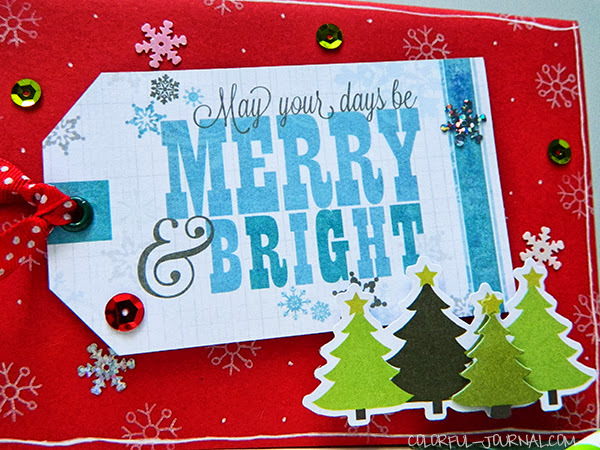 Love this cute Christmas card – craft fair sounded like fun! Hope you got some fun stuff.